Dad and I took the tinnie into the creeks today for the big high tide. 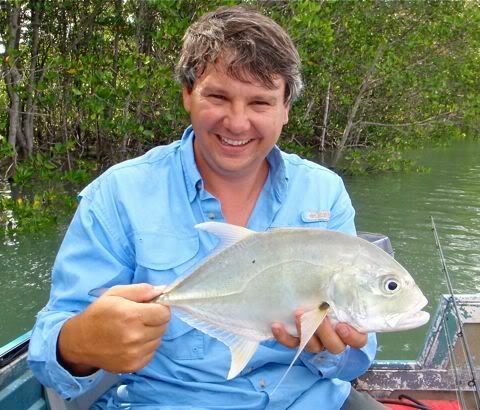 Thought we might lure up some Mangrove Jack as the flood tide started to run out from the mangroves. We put the crab pots in about 7.30am and started luring the last of the run in. But it was dead quiet. So we anchored up and threw out a couple of trusty pillies. But even the pillies were very quite. The only thing we could manage was a small GT hunting the edge of the channel. Once the tide turned we resumed out lure casting. But after an hour of casting and not a single hookup we decided to go back to bait for a while. The tide was still quite high, and water was pretty quick. But the bites started almost immediately after anchoring. 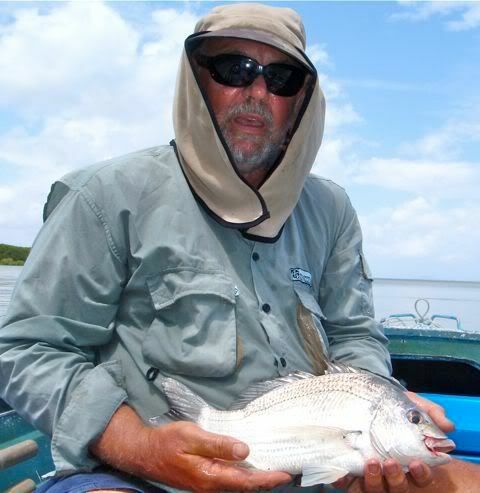 The first fish landed was a thumper 36cm Bream by Dad. 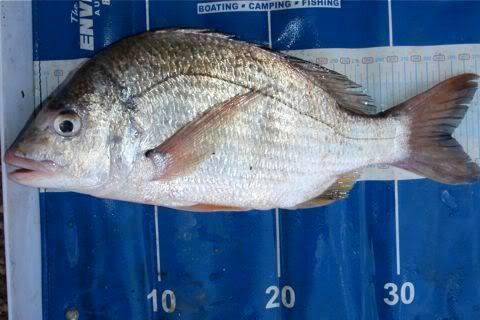 Over the next couple of hours we landed a total of 13 Bream, the biggest 37cm quite a few not that far short. 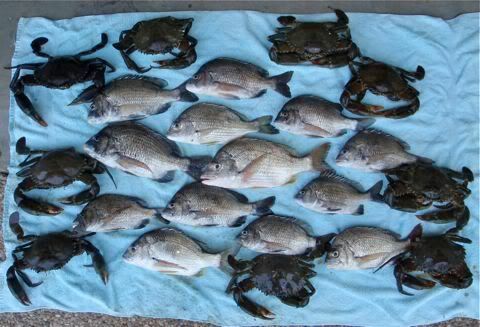 It was one of the best Bream session I think I have ever had. 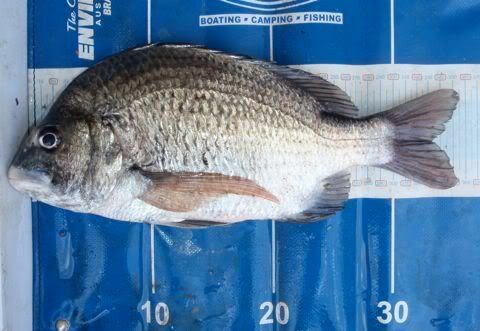 I even managed a double hookup of 30cm bream on both my rods at the same time. I had one rod in each hand with fish attached. Funniest thing ever, one bricked me so I put the rod between my legs while I landed the other fish. By the time I got back to the first rod the fish had swum free, so I landed him too....lol. As the tide dropped even the crabs came in for a look. We managed to boat about 5 good keeper bucks on rod and reel. And when we emptied the pots we had another 4. A great session and a good feed for the next couple of days. I hope we can manage another good session like this in the lead up to Christmas Day!